Smudging has been used since ancient times by many people as a ceremony of purification. Called 'incense' in some traditions, called 'medicine' in others, it can be made of a variety of fragrant plant materials. Native Americans have used their local plants or obtained more exotic materials through trade with tribes of other regions. Among the plants used for smudge are tobacco, sweetgrass, calamus, red willow bark, red osier dogwood, cedar needles and sage. Grandfather's Spirit is pleased to offer the highest quality, 100% natural incenses and smudge. All our products are harvested ethically, with the utmost respect for Mother Nature. 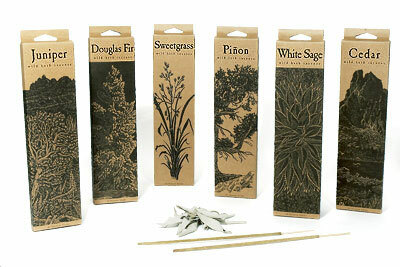 We offer several lines of incense along with raw herbs and burners. Among our lines are Juniper Ridge, Incienso de Santa Fe, Fred Soll, and Ancient Aromas. Also enjoy our superior smudge bundles, tobacco, and raw herbs. 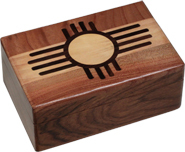 In addition, we carry burner bowls, charcoal, feather fans, and other smudging and ceremonial accessories.